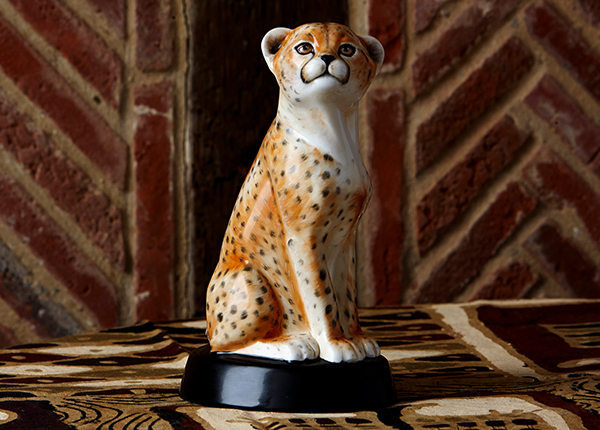 Royal Crown Derby are proud to launch the African Cheetah Cub into The Big Cat Collection, an iconic and evocative hand painted sculpture. The creation of this masterpiece is reserved for the most experienced makers and artists, meaning only 250 pieces will be produced. The cub is the second in a series of sculptures called 'The Big Cat Collection' with each sculpture depicts the African Cheetah Cub's sleek elegance. Intricate handpainting skillfully cauptures the coat markings which are individual to both beast and sculpture, and presented in a uniquely-designed gift box. 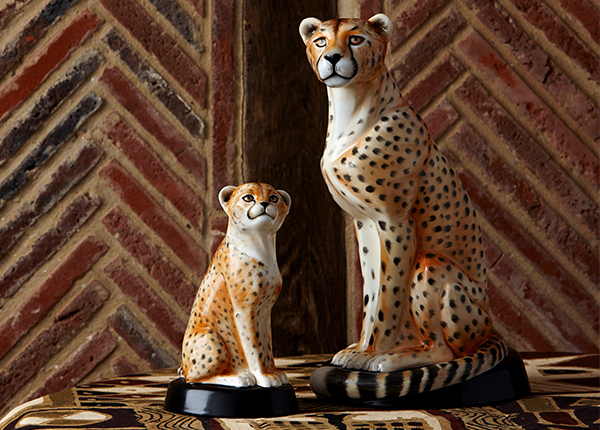 The African Cheetah Cub is made of the highest quality materials at our Osmaston Works factory in Derby, England. 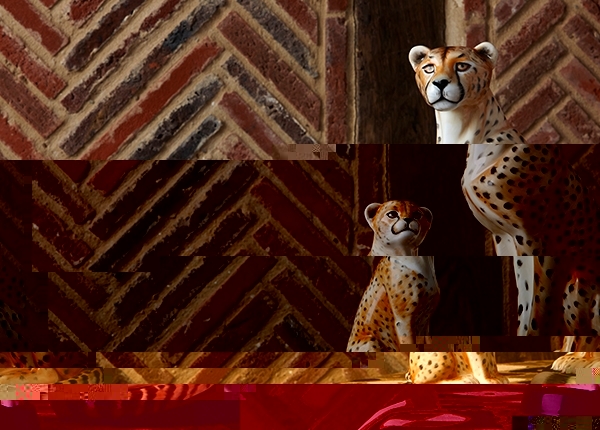 This beautiful sculptural piece is the perfect accopaniment to the limited edition of 100 the African Cheetah, which is also part of' The Big Cat Collection'. These stunning creations make a truly special mother and child paring, which are sure to be highly sort after by art lovers and collectors alike. Discover the African Cheetah and African Cheetah Cub here.